This article covers the Switch case statements with expressions and types with various syntax examples. Switch case is used to execute a particular code block when we have multiple code blocks based on condition. It is an alternative syntax for writing if-else block. Unlike other programming languages like Java and C+, where, the break is needed to stop its execution. Go language is automatically stopped its execution when matching case executed. Break keyword is not required. There are two types of Switch types in Go Programming language. Expression Switch - In this case, Switch expression are compared with case expressions. Type Switch -Switch expressions types are compared with case expressions. expression switch is used to compare expression with a value of case expressions. It contains any number of case statements with each case statements contains expression and a colon. Switch expression and case expression must be evaluated to the same type, Otherwise, it gives a compilation error. For example, Switch evaluates to float and case evaluates to float only. curly braces for case body is optional. if there are many matched cases, first matched cases are executed. In the below example, Number is declared with value 1. In the switch, number compares with the value of number against all case statements. Here cases are evaluated from top to bottom. Matched first executes its code block, In this case, 1 is matched, 1 matched is displayed to console. switch expression can be enclosed with parenthesis and without parenthesis - both switch number or switch (number) are allowed and valid code. the above code, Code cheks weekday is working day or not. the case is defined with multiple strings which are declared as working days. Normally when the matched case is found with switch case, the code inside matched case executes and control exit from switch case. 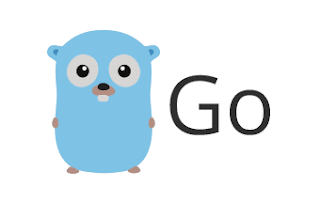 fallthrough statement is special functionality used to jump the control from next immediate available case fallthrough is a keyword in golang, hence it will not be used as variable or function names. Switch and case expression can also be declared with floating values and it is valid code. Other languages are not supported to be used in switch case expressions. Golang has no issues with it. The below program contains floating numbers, matched case with floating values are evaluated. In this case, 6.5 matched is printed to the console. break statement can also be used in switch cases. It is used to exit from the inner loop inside the switch. When you are using for loop with switch case, break keyword will be used. Here is an example without break statement for loop iterates with 3 values, Inside the loop, Switch is declared, and matched cases values are printed. Now we will rewrite the code with break and named labels in switch case statements In the below loop code, for the first matched case, break label is used, It exists from the named label and output only 1 matched case. the expression can also be a function named calls and valid in go language Following is an example for functions in switch expressions. In the below example, the Simple function is declared, It just returns the passed parameter no value is processed. This is being used in Switch expression as well as case expression. Type switch is mostly used in interfaces Type switch is do multiple type checking and evaluates first matched type case. These are mostly used to type assertions Difference between the expression switch and type switch, the Normal switch is compared values with case values. Type switch compares types not values with case types. Like a normal switch expression, Default is also optional and last declared, the break is not required. Switch type and case type must be of the same type or follows is-a principal. In the below example, interface() is an empty interface type that can accept any type of value. Type switch case can be used with struct data types. struct types contain custom type which contains multiple types.